Self-harm is the infliction of pain or injury onto oneself. Historically these behaviors have been relegated to the fringes of communities. Technology now enables new ways to foster and encourage these dangerous activities. The HCI field possesses few examples of scholarship focused on self- harm. This research focuses on characterizing the presentations of non-suicidal self-harm behaviors within social computing platforms. Building on these characterizations, we can begin to look at diagnostic screeners and tools to better understand how we can start connecting online activities related to one's mental illness to the physical presentation, detection, and treatment related to their disease. In our first study, we describe the shifting nature of lexical patterns associated with self-harm behaviors online. These lexical transformations highlight online practices to evade censorship by the community-at-large or the social media platform itself. Understanding these practices was pivotal in setting an accurate foundation to build upon so we can better understand the real behavior that is taking place online related to these behaviors - the terminology is a gatekeeper to finding the authentic posts online. We used the outcomes of our first study to refine our data collection across several platforms. We then analyzed this data for the types of information being shared within social media platforms. 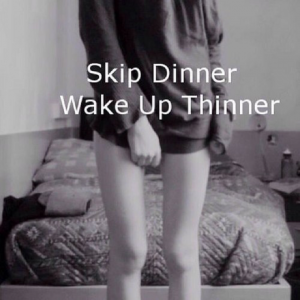 These types included “thinspiration”, the eating disorder journey, diets & food, and connections to other mental health issues like anxiety, depression, and bipolar disorder. Multimodal Classification of Moderated Online Pro-Eating Disorder Content. Read more about Multimodal Classification of Moderated Online Pro-Eating Disorder Content.